We are called as Christians to be fearless, and to not fear men, the world, or evil. And yet we are still afraid of many things. How do we conquer our fears? That’s probably the wrong question. 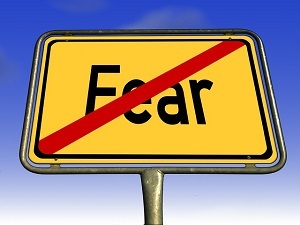 How do you work through the fear, persevere through the fear, resist letting the fear paralyze you. The surest way is to hurry up and succumb to it. To face the fear regularly, instead of avoiding it. Otherwise, you could simply stop doing anything, which is most certainly not an option for a follower of Christ.